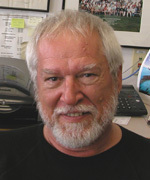 Dr. Dickson D. Despommier is an Emeritus Professor at Columbia University. Dr. Despommier completed PhD from University of Notre Dame. Dr. Despommier has authored various articles and is a member of various societies. Dr. Despommier is a member of the New York City Department of Health's Food Safety Committee and has received various awards and honors. Dr. Dickson Despommier is an infectious disease ecologist with a strong interest in West Nile Virus epidemics in the United States. Dr. Despommier studies patterns of weather and tries to construct ecologically-based models that would best describe the conditions under which an epidemic might be triggered. Dr. Despommier also tracks other infectious diseases, such as malaria and trypanosomiasis, regarding their ecological requirements for transmission. He is also interested in food borne infections.